We're just a week away from the launch of a cluster of Ryzen 5 CPUs, including four-core and six-core offerings, which should certainly mix things up in the mainstream nicely and give Intel yet more things to worry about. 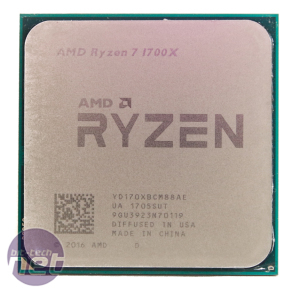 For now, though, this is our slightly belated review of the AMD Ryzen 7 1700X, which as you probably know by now is the middle child of the Ryzen 7 trio. 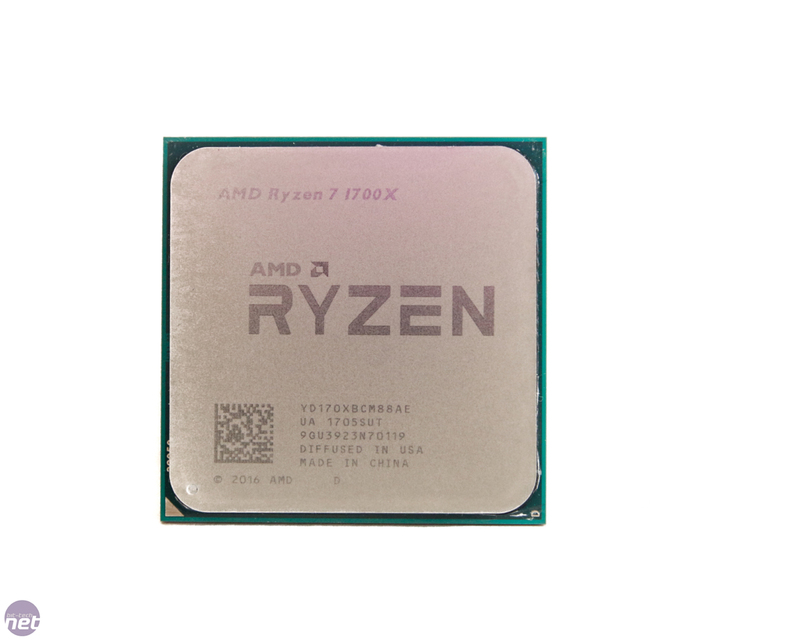 Being an X-series CPU, the Ryzen 7 1700X is meant to be speed-binned and has a higher XFR (extended frequency range) boost than the likes of the Ryzen 7 1700. It has a base frequency of 3.4GHz and a precision boost frequency of 3.8GHz. That said, if our samples are anything to go by, the X-series Ryzen CPUs seem to adhere to the usual lottery of overclocking headroom, with our Ryzen 7 1700 actually being the best overclocker, albeit by just a little. However, this does mean that both the Ryzen 7 1800X and 1700X are left in a bit of a no man's land in terms of overclocking. Again, we're only talking from our own sample experience, but in general it seems you won't be getting much more from an X-edition chip. 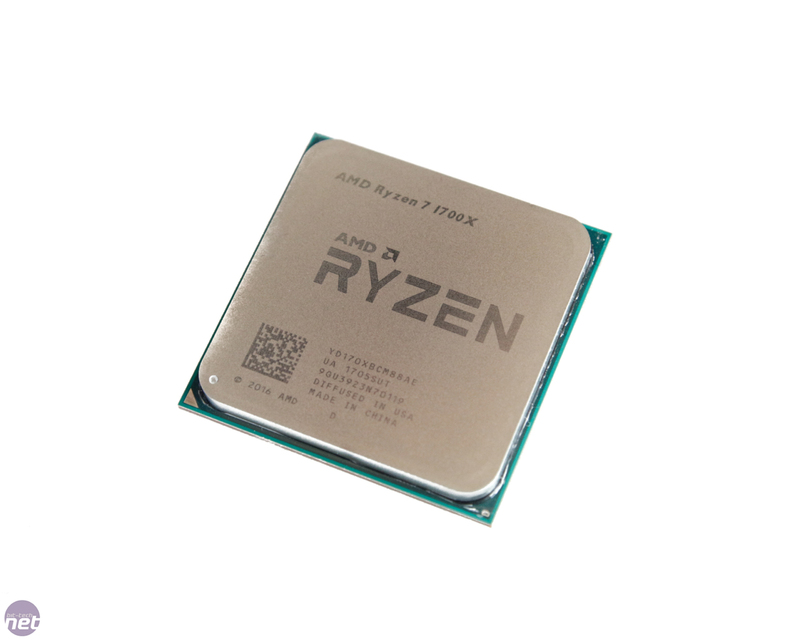 What you do get is a significantly higher clock speed to start with, and if you won't be overclocking, the Ryzen 7 1700X is a better out-of-the-box performer than the 1700 and costs over £100 less than the 1800X. It's nice to have a choice, though, and opting for the 1700 may be a bit of a gamble when most 1700X chips we've seen can get to at least 3.9GHz on all cores with fairly low voltages. Apart from clock speeds and claimed overclocking prowess, though, there's very little difference between the Ryzen 7 CPUs. They all have eight cores and sixteen threads as well as 16MB L3 cache, although the 1700 does have a lower TDP as well. Looking ahead to the Ryzen 5 series, the key question for possible Ryzen owners is do you really need those eight cores and 16 threads, or would six cores and 12 threads suffice. If the latter applies, you could save yourself even more cash and opt for the Ryzen 5 1600X, which we'll hopefully be looking at next week and which is slated to cost just $259 compared to the RRP of $339 for the Ryzen 7 1700X. A lot will depend on overclocking, of course, but with the Ryzen 5 1600X offering a precision boost speed of 4GHz - 200MHz more than the Ryzen 7 1700X - this could yield some interesting results anywhere that all eight cores aren't engaged. Then there's the Intel question, but we'll leave that to the conclusion and also our coverage next week. In short, it's an interesting month for CPUs. Enough gossip and pondering, though - let's see some benchmarks.